Awarded to the American poker player to have accumulated the most points on the worldwide live tournament poker circuit during the 2015 poker season as determined by the Global Poker Index’s exclusive scoring formula. 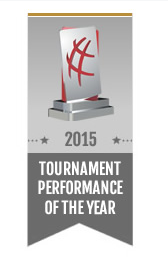 The winner of the Player of the Year award is determined by taking a player’s best 13 scoring results in all qualifying tournaments played between January 1, 2015 and December 31, 2015. Point distribution is based on the Global Poker Index’s exclusive scoring formula. 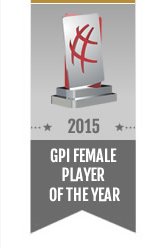 Awarded to the top scoring female poker player from American during the 2015 poker season as determined by the Global Poker Index’s exclusive scoring formula. Award presented to the American media person judged to have been a leading personality in poker media during the 2015 poker season. Media members are an integral part of the poker world. 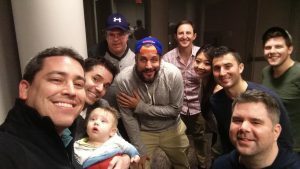 The best media members have the ability to connect poker fans with the poker world through articles, blogs, photographs or through other means. 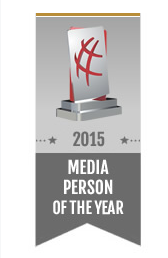 The Media Person of the Year award looks to highlight those in America who shine the brightest in the media world. 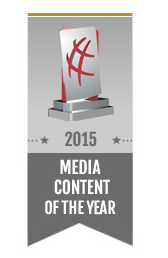 The Media Person of the Year will be awarded based on nomination panel’s list of nominees and a final jury vote. 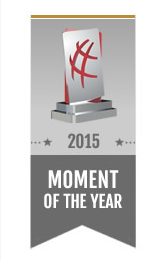 Awarded to the American casino employee, tournament staff member or tour operating worker deemed to have gone over and beyond for the game of poker during the 2015 poker season, as judged by the panel and jury members. 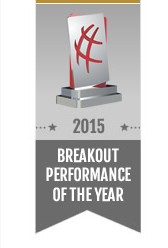 Awarded to the American poker player without a major poker title* heading into 2015 who enjoyed a breakout year on the live tournament circuit this season as judged by the nomination panel and the members of the jury. Furthermore, players who have reached the final table of a WPT or EPT Main Event and/or a WSOP bracelet or any High Roller or Super High Roller tournament prior to Dec, 31 2014 do not qualify for this category. 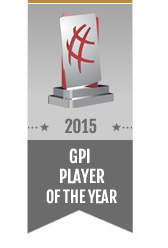 Awarded to the American player judged to have had the single best tournament performance on the worldwide live circuit during the 2015 poker season. 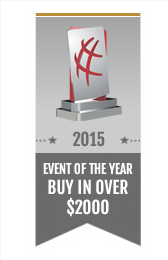 Award presented to the event judged to have been the best single tournament event presented in American carrying a buy-in over $2,000 USD. Award presented to the event judged to have been the best single tournament event presented in American carrying a buy-in less $2,000 USD. 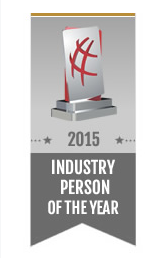 Presented to the American industry contributor or organization to have come up with the best poker innovation or initiative serving poker’s interest in 2015, such as the creation of a new circuit, a new tournament format, as well as a technological innovation, the signature of a commercial partnership or the organization of an unprecedented event. 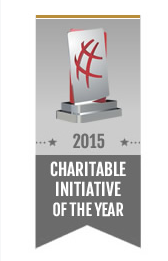 Presented to the tournament or tournament series to have done the best job at raising awareness as well as raising funds for a noteworthy charitable organization. Poker presenters are an integral part to any broadcast, live stream or for any news organization covering poker events. 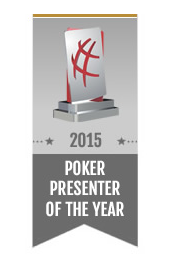 The American Poker Awards team has decided to reward the person deemed to be the best presenter this year. The award is presented to one of these skilled professionals that go the extra mile to connect poker fans with the game we all love. 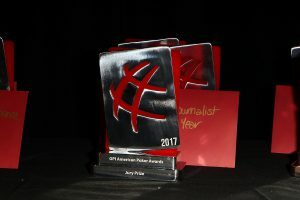 Awarded to the best poker article, blog post, picture, video, podcast or interview during the 2015 poker season published by an American journalist, industry member, blogger, or media contributor.